This sewing book is becoming value for money. 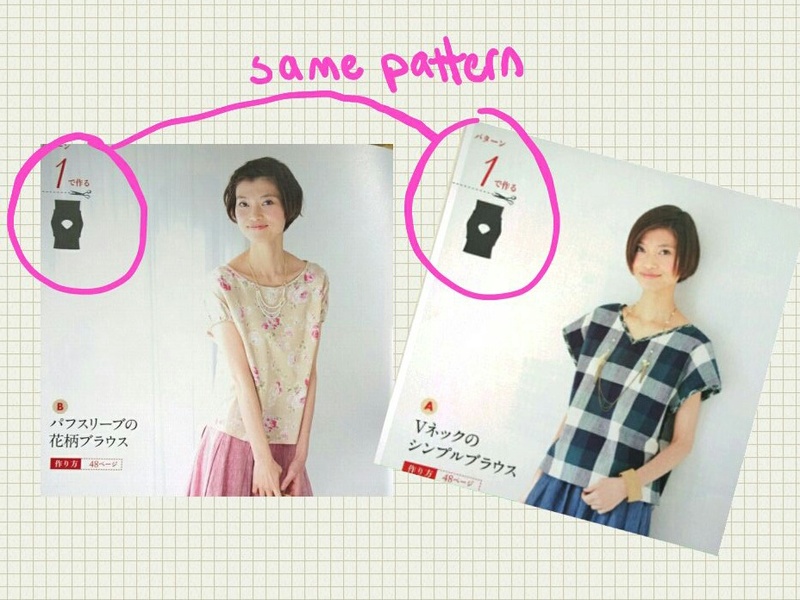 This pattern is reversible, so you can wear it V-neck or round neck. I tried the 1B pattern but didn’t like the elastic gathered sleeves, so I’m going to show you just the 1A pattern one. On the pattern sheet, there is a semi circle on the shoulder, that’s to help you align the whole piece when you mark it on fabric. 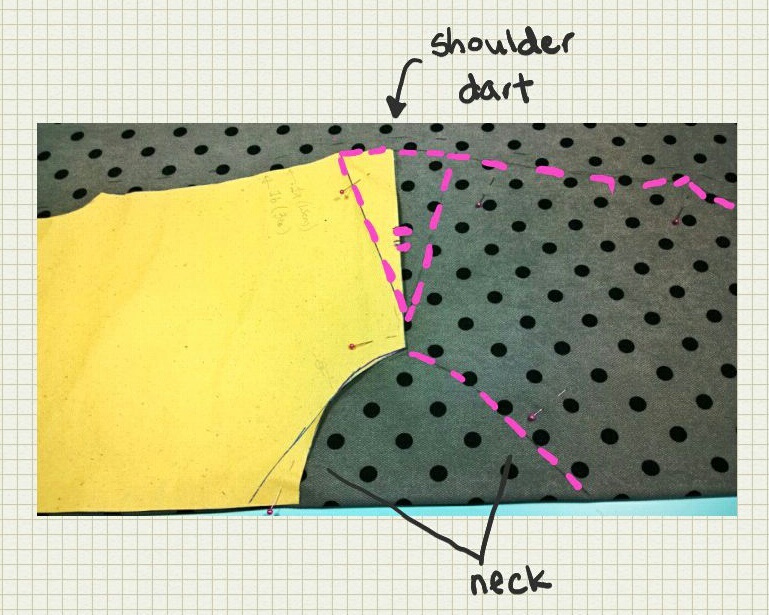 To make the shoulder fall naturally, you have to sew up the shoulder darts so there is a slanting drop. The entire piece for this simple top looks like this. Completed project with messy hair !